Abandoned Bridge, Union Mill (Jessamine Co.), Ky. 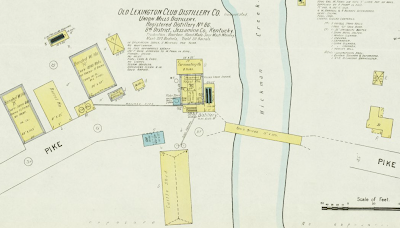 The Jessamine County community of Union Mill (on KY-169) once was home to a successful distillery operation, one of several that used to operate in the county. The beautiful Hickman Creek (pictured below at right) provided the necessary moving water for both the distillery and the gristmill. An old 150-foot covered bridge once traversed the creek. 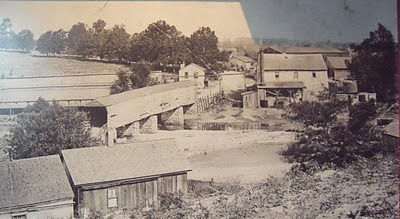 According to some reports the covered bridge was replaced in 1915 (see comments to this post), while other reports indicate it was lost in to flood waters in 1932. Still visible below the abandoned four-span, steel bedstead and pony truss bridge that followed is the original stonework from the covered bridge. [Kentucky's Covered Bridges (KY) (Images of America)]. 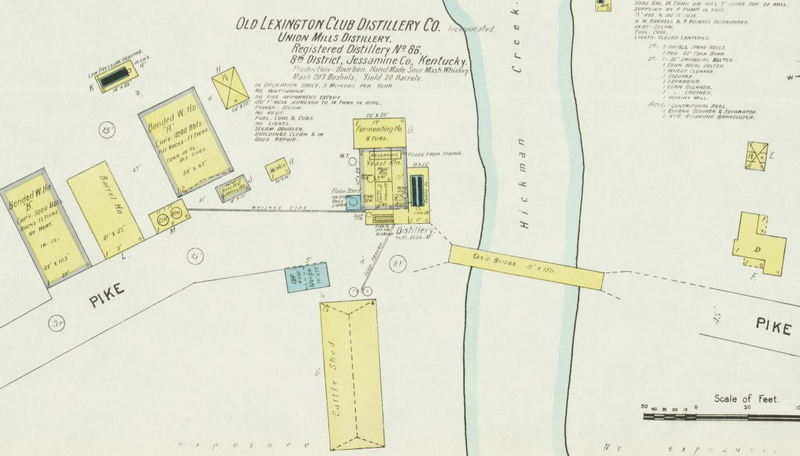 All of this was abandoned when, in 1955, KY-169 was rerouted slightly to the west. UPDATE: Immediately below is a picture sent to me by the author of Kentucky's Covered Bridges , Walter Laughlin, which shows the old covered bridge in its heyday. Additionally, check out my post from December 2010 wherein I reported on the ultimate demise of the steel pony-truss bridge.